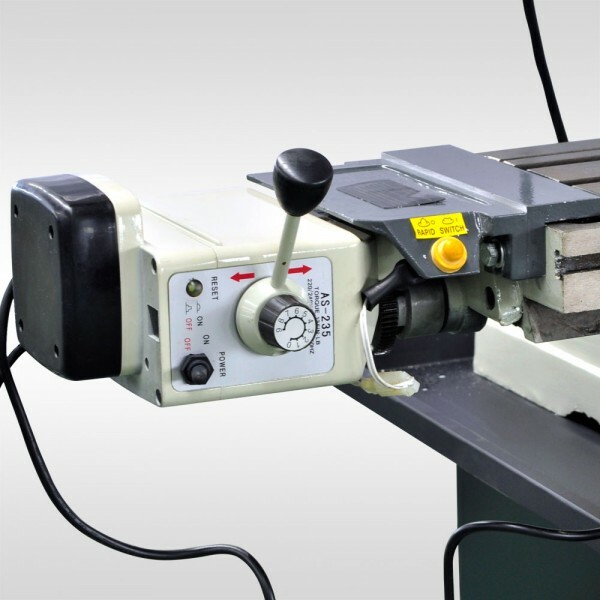 When I bought my first machine tools, they were a manual lathe and then a manual mill. Took me a while to save up enough cash, and then I came to realize that the old saying that the tooling will cost as much as the machines was also true. Then, along came CNC, not very much later. I converted my manual mill to a CNC and I was surprised at how much of the tooling I had acquired was superfluous. Not all of it by any means, but an awful lot. Now, it’s true that you wind up with a bunch of “Digital Tooling” for CNC that might not be needed for Manual Work, but the savings are substantial. Still, I miss some of that cool tooling, was feeling nostalgic, and wanted to show off a bunch of it here in this column for you. That circular boss is the first thing I made with a rotary table on my manual mill. It was so many years ago I don’t even really remember doing it. Just imagine how much trouble rotary tables where. You had to get their axis dialed in for the center of your feature. Then you cranked that handwheel, and potentially had to read off some degree angle too, for example, if you wanted to radius a corner and not make a full circle. We used big drill bits so much more often just because big round holes were a lot of trouble with a rotary table. With a CNC, interpolation is easy and happens constantly. Radiusing corners is effortless. We do sometimes see inexpensive 4th Axis setups made from Rotary Tables, so they are sort of with us for CNC, but not like the old manual days. Don’t get me wrong–file work is by no means obsolete. But it ain’t what it used to be. Mostly, it seems nice for deburring with CNC, and often a file isn’t the best choice there either. But look at a nicely CNC machined part and you’ll see they’ve chamfered most of the edges. No way did that happen on a manual machine! If the edges needed breaking, a file was a quick tool at hand. In fact, there were many operations that were just easier with a file. 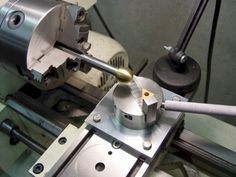 Machinists were trained to do high precision file work too. I wonder how many can do that kind of work today? 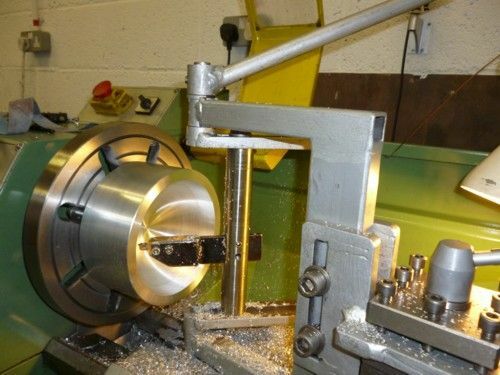 Ball Turning Attachments are lathe tooling, though I suppose there’s no reason you couldn’t stick the workpiece in a suitable holder on a mill spindle and use one too. Putting a nice inside or outside radius on the part was commonly done with one. With a CNC Lathe, arbitrary flowing curves are easy to program and the ball turning attachment is no longer needed. 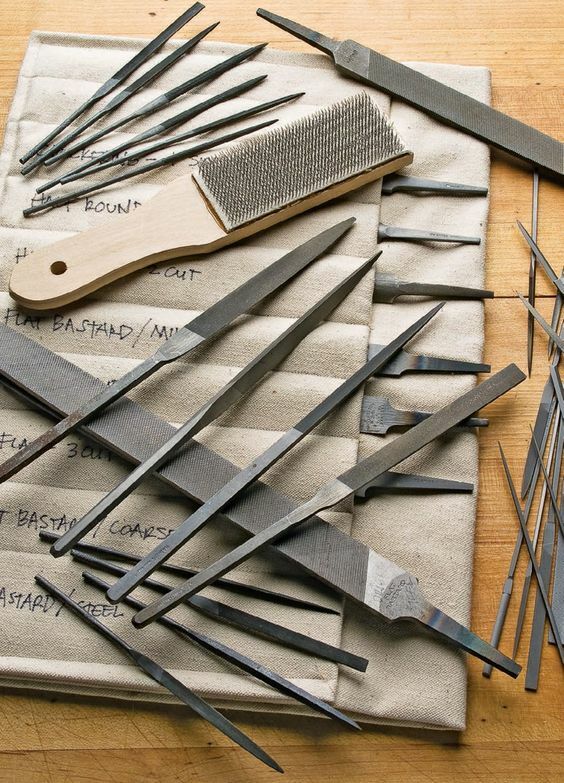 Tapers are a staple of turning work, but they have to be done right. Cut your taper at the wrong angle and it can be useless. Any good manual lathe therefore needed to have a taper attachment. They work as a sort of tracing guide. Set the attachment at the same angle as the taper you want to cut. Attach the lathe’s cross slide, and as the slide moves right to left, the taper attachment will move it in or out to mimic the taper being turned. Similar tracing attachments were available for mill work too, and these were logical precursors to CNC that a lot of parts were made with. The fancier models were hydraulic, and amazing things could be accomplished. Remember all those fancy turbine blade demos you’ve seen with 5-axis CNC? Well, there were jet engines and turbochargers way back in World War 2. And those parts were often made with tracers. With CNC, programming any arbitrary taper is easy. 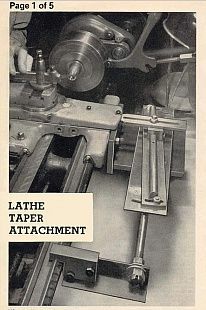 The alternative to the tracer-style taper attachments was a tailstock taper attachment. I’ve shown pictures of a very nice shopmade one as well as the one Royal used to make back in the day. They have a fine screw to adjust the taper. 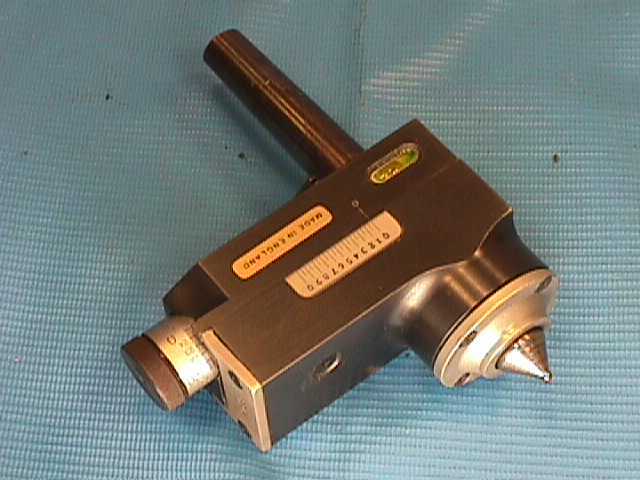 By turning between centers with the tailstock end being off-center, a taper resulted. Speaking of the Tailstock, there used to be many different accessories for them. They were not strictly for workholding, they were also the place for various cutting attachments that had to work on-axis. 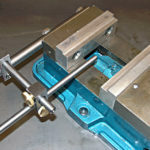 A tailstock die holder is a great example. 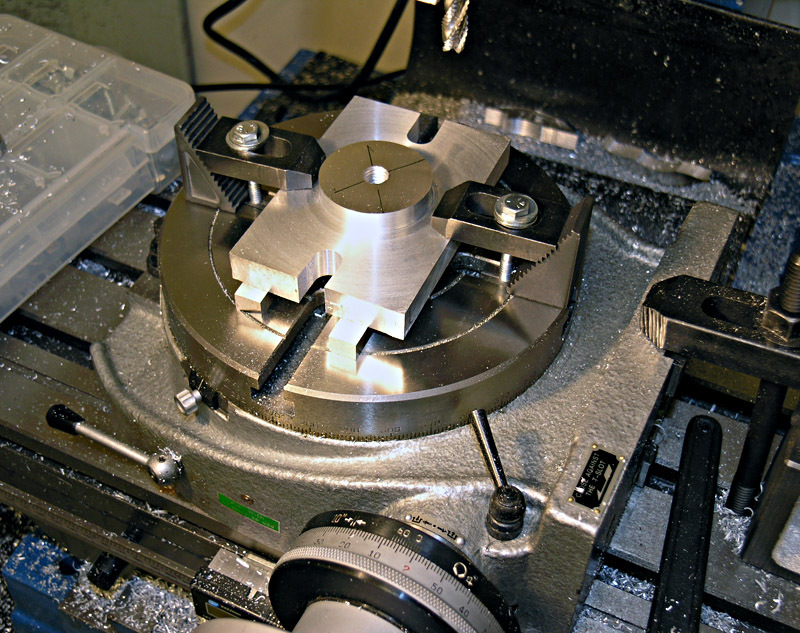 The first part I ever made on a machine tool was a tailstock die holder I made on my first small lathe. The one pictured above is very nicely made and I’d be embarrassed to show mine alongside, but I used it quite a lot. Faster, fancier, and more oriented to production work were Geometric Die Heads, also installed on the tailstock. These days, it is so easy to program virtually any thread into a CNC that putting a die head on the tailstock seems quaint. Tapping Heads were all about automating and improving the speed of tapping on drill presses and manual mills. 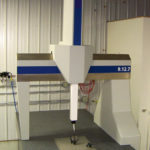 While a tapping head can be installed on a CNC, and they do still have certain advantages. Even given their advantages, they have the huge disadvantage that they don’t fit in automatic tool changers, so we don’t see them nearly as often as we used to. 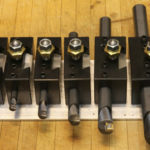 The preferred CNC method is rigid tapping, but machines that can’t do rigid tapping can still tap just fine with a tension compression tapping head. 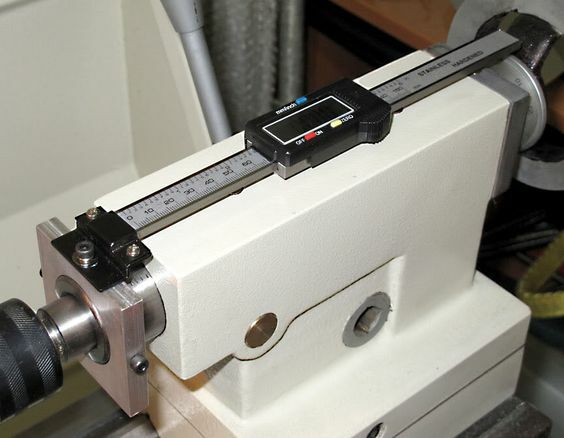 DRO’s use “glass scales”, same thing as your digital calipers use, to measure the exact position of each machine axis. There’s an old saying among machinists that if you can measure it, you can cut to it. Being able to measure machine position very accurately (and not just depend on the handwheel numbers) with a DRO makes precision work go a lot faster on a manual machine. But for CNC’s, their emphasis is on being able to move precisely. Yes, they have some feedback about whether the move happened as commanded (and not even that in all cases), but for the most part, they’re built to move precisely from the get-go. 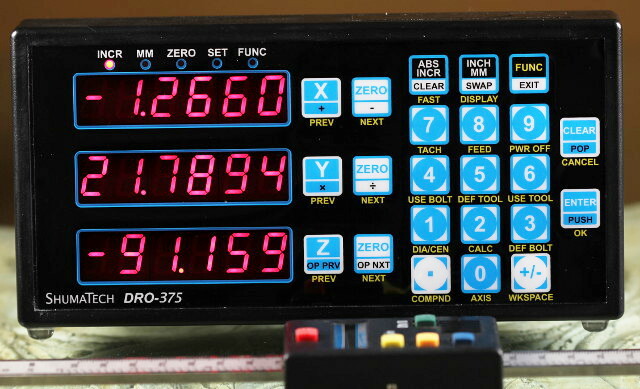 The feedback is used to ensure the movement happened correctly, and the “DRO” is just some information displayed on their computerized panels along with a lot more. While some manual mills can be had with power feeds from the factory, most of the time these are add-ons. Of course CNC machines by definition have power feeds. In fact, I am fond of saying that by mastering just a few g-codes and MDI, any manual machinist can run a CNC and it will function just like the manual mills they’re used to. People who think manual is faster for certain things have to consider that used like that, a CNC is just like a manual machine with power feeds and DRO’s on every axis. 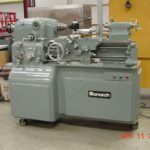 While on the subject of power feeds, lathes have particularly elaborate power feeds because synchronizing the feedrate with the spindle’s rotation is how single point threading happens. Take all those complicated looking levers on the front of the Mori Seiki lathe pictured (one of my all-time favorite manual lathes). They control a transmission whose function is to allow precise threading as well as fine feed control. CNC’s dispense with all that complexity. They use an encoder to sense the spindle position and then software synchronizes the feedrate driven by a servo or stepper to cut any desired thread. Strictly speaking this isn’t add-on tooling, but it is interesting to note. 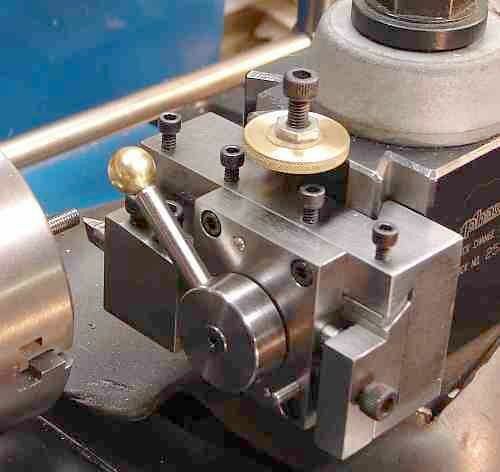 Carriage Stops, with or without the dial indicator, are a popular accessory for lathes and are often shopmade like this one. When manually feeding the lathe, they let you set up a cut you’ll be repeating so you stop at the same place every pass. With a CNC, this is all a matter of your program. Bye bye, carriage stop! 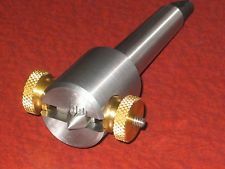 Another gizmo that’s very commonly fabricated is a tailstock DRO so you can bore or drill to a precise depth. 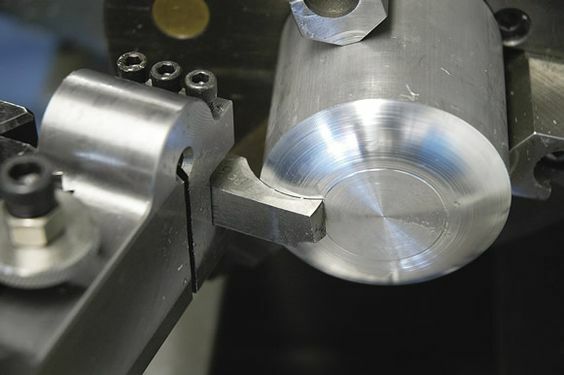 On a CNC, the tailstock is normally just for workholding (if the machine even has a tailstock), and the depth is just a matter of programming the axis. 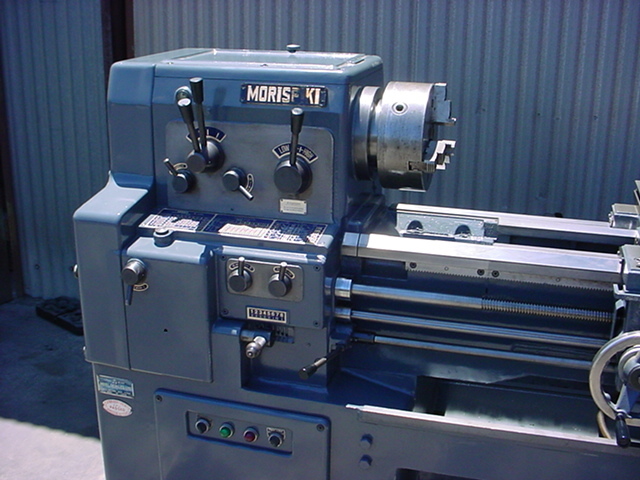 That Mori Seiki bit got me thinking about fabulous old lathes. For many, the Monarch 10EE is the pinnacle of achievement. It used this fancy speed control that has an exotic tube called a Thyratron in it. The goal? 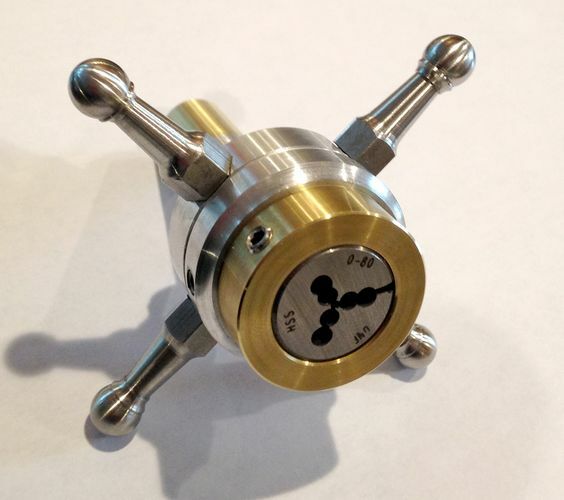 Be able to turn a knob and have continuously variable fine control over spindle speed. Today, we have cheap VFD’s to do the same thing or at the higher end, we use servos to drive the spindle. 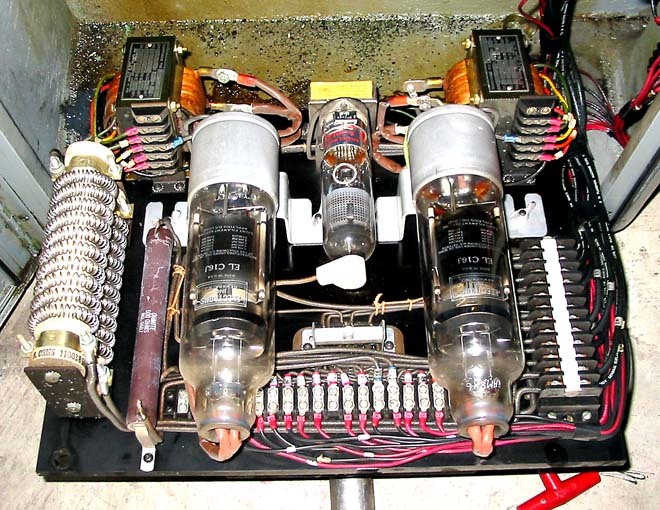 Purists restoring 10EE’s work hard to come up with working Thyratrons any more. 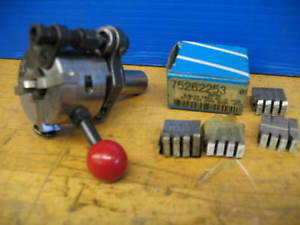 Those who just want the pretty lathes to work retrofit modern VFD’s and servo drives to them. Back in the day these were another great shortcut on lathes. If you were handy with a tool grinder, you could put whatever shape was needed and cut the whole curve in one fell swoop. Sure, the thing could be a real chatter monster and had to be carefully tended to. The one in the picture has a special tool holder that springs back, for example. But you could cut a radius like the one shown very quickly. Today, we just program that profile into the CNC and it gets done quickly and perfectly every time. Threading is best done with multiple passes, and to do that quickly and precisely requires some help. 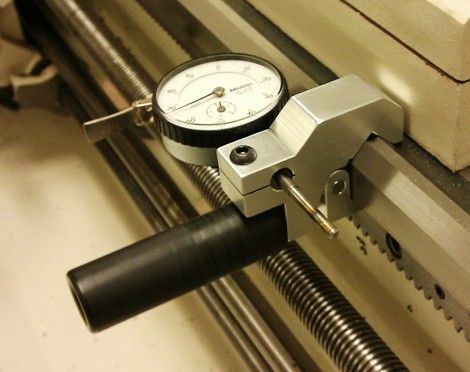 Fancier lathes have nifty gizmos built right in to do the job of retracting the tool just right each pass. But the alternative is a shopmade retractable threading tool like this one. Back in the day Wohlhaupter, Tree, and others made these fabulously intricate devices called Automatic Boring Heads. They had mechanisms that would increase the diameter being cut each pass automatically while still maintaining precision. Tree’s could even cut a tapered hole. Calibrate based on the acceleration your machine is capable of. This can be measured via trial and error test bores, but exceeding the ability of the machine to accelerate the axes is probably the biggest reason for inaccurate interpolation. Our G-Wizard Calculator can help compensate for this. Interpolate both clockwise and counter-clockwise. 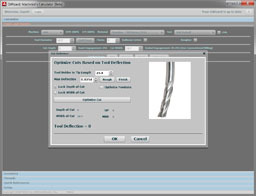 The Conversational CNC Hole Wizard in G-Wizard Editor has an option for this and it will clean up a world of hurt. If you need the very best precision and surface finish, you may still wind up using a boring head on a CNC, but for most jobs it won’t be needed. There’s a lot more examples where these came from. 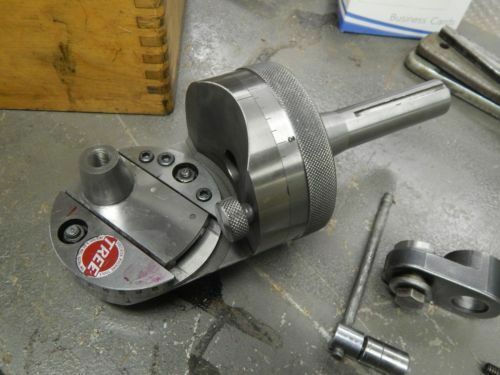 Which tools did you use back in the day on manual machines that are no longer needed for CNC? Stop! Don't Take That Part Off the Machine Yet! I’ve done that too. Made a 34-1/2 tooth gear one time. 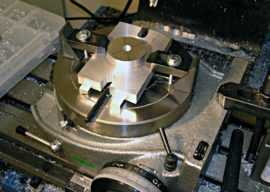 Dividing heads and spin indexers. Yeah, old school. But I have seen them used to good effect on CNC as a low cost substitute for a true 4th axis. One fellow went to all the trouble to build a geneva movement driven by an air cylinder. He had a button on top of it and the spindle would depress that button to index the next side for machining. You really can’t get much better of a rotary device. With cnc control of course. Typically many thousands of quad counts per degree & no backlash. I love mine, heavy but precise. 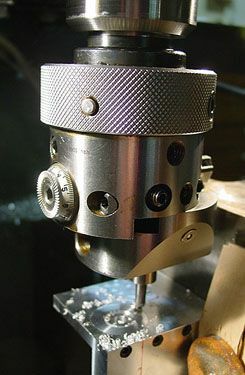 Slotting (shaper) head for the Bridgeport Mill, which used a reciprocating cutter to cut square corners into round holes, or cut narrow vertical grooves in parts, or keyways. I’ve only seen those used once or twice in 35+ years in the trade. Availability of the wire EDM took their utility away rather abruptly. 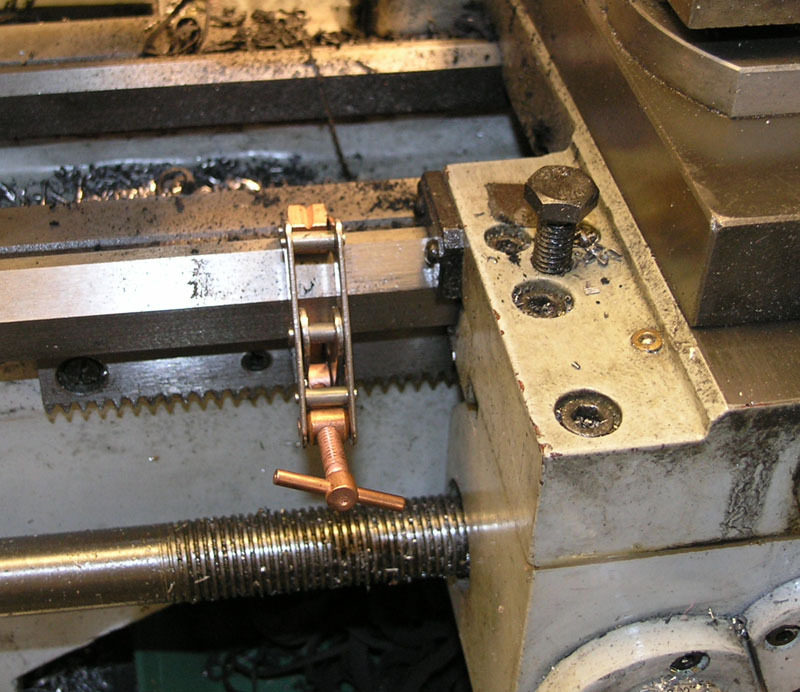 Cherrying head for the Bridgeport Mill, which used an endmill to cut a half-round shape into a part. Easier to show video than to describe. Set one up and used it once, just because it was there, CNC definitely killed the need for them. 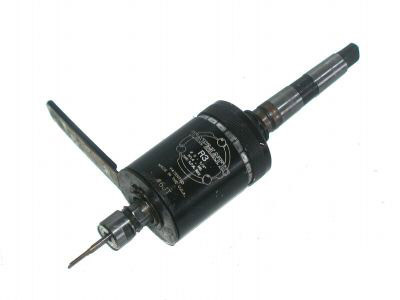 You push down on a mechanical plunger for indexing and relocking. Would still be relevant on a pallet changing machine..
Bridgeport Right angle head. 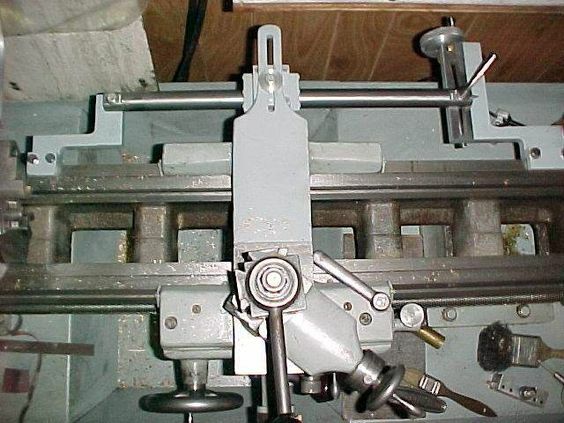 Used to even take out the lead screw and mount an attachment I made with a rack gear and captains wheel to deep hole drill and slide the ‘x’ axis back and forth with a gundrill or extention drill in the right angle head. Worked great. Now with 4th and 5th axis you don’t need. Except in the garage of course. Generally true, though I have seen some really clever things done with converted Bridgeport right angle heads on CNC machines.